This is so delicious, you'll be shocked at how easy it is to make. A quick drizzle of the tasty sauce over grilled steak lettuce cups makes for a satisfying, hand-held meal. 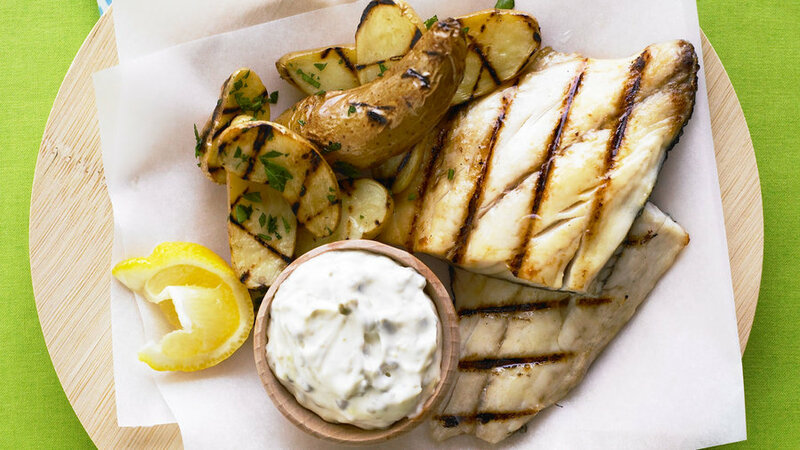 Forget that greasy, batter-covered mess that normally comes to mind with fish and chips. This dish is done entirely on the grill (“chips” too!) so the result is both delicious and healthy. 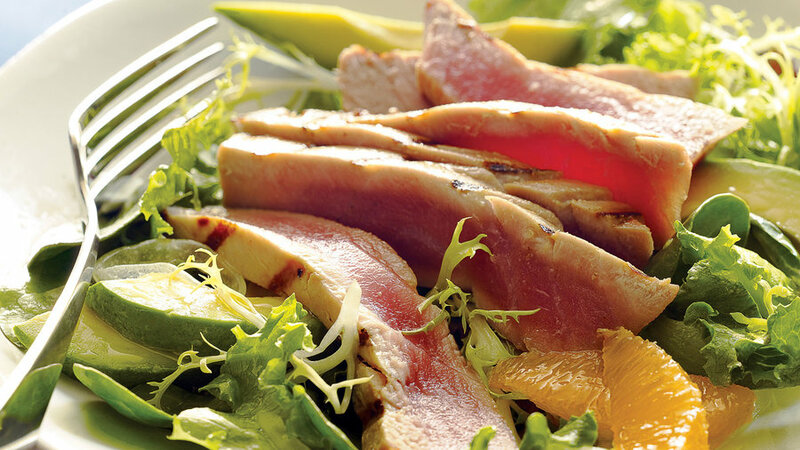 Quick-grilled ahi is a nice addition to this warm-weather salad. The fresh citrus pairs wells with the sweet and tangy dressing. 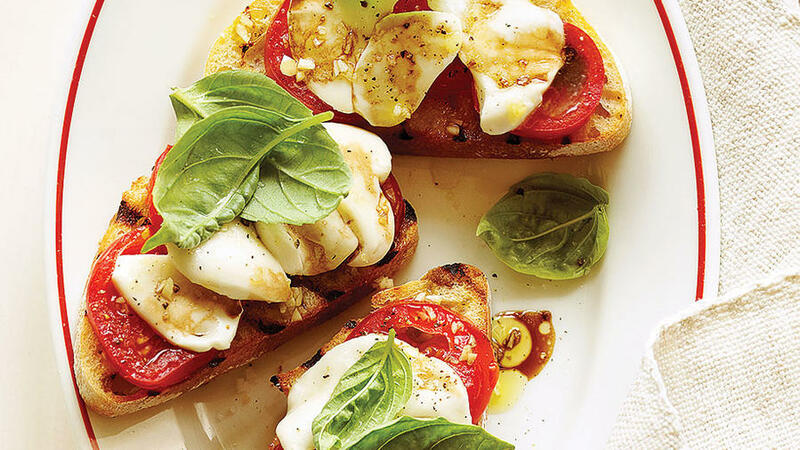 Take all the best flavors of summer and serve them on grilled bread for a fresh and summery open-faced sandwich. Eat a few as a whole meal or make a few smaller ones and serve them as appetizers while the grill heats up for bigger items. 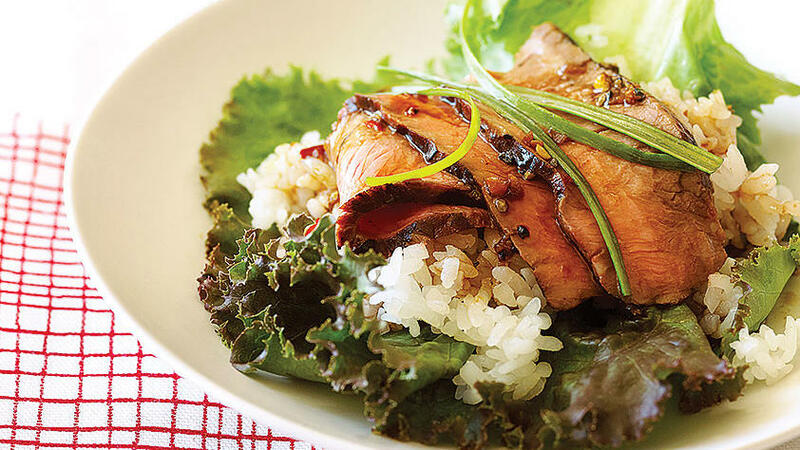 The secret to this dish is in the sauce. It’s sweet, creamy, and a bit spicy. 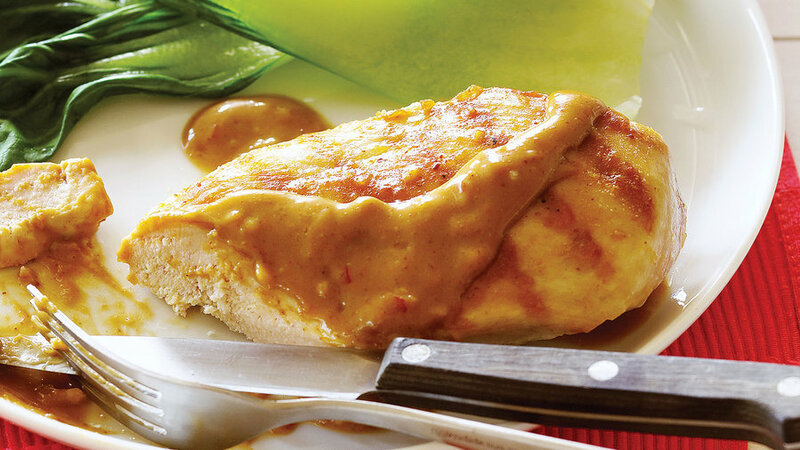 We’ve served it over simple chicken breasts for an easy dinner, but it would be great on grilled chicken satays or even grilled chicken wings. Having a group over for a cookout but not sure if someone is a vegetarian? 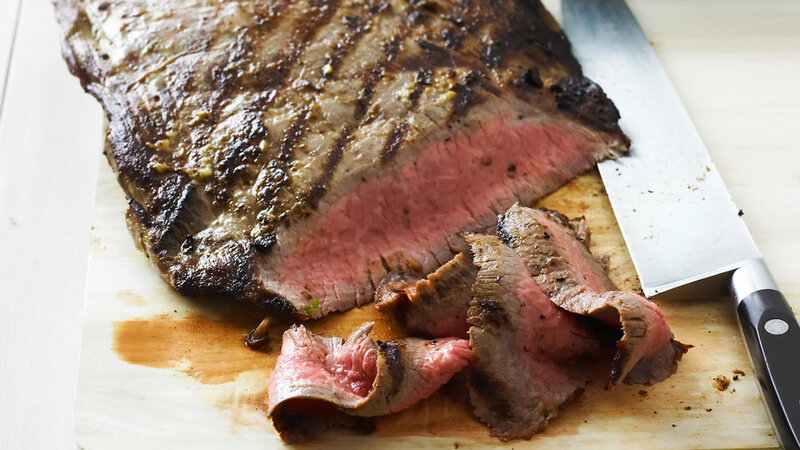 This is a great item to add to the grill. 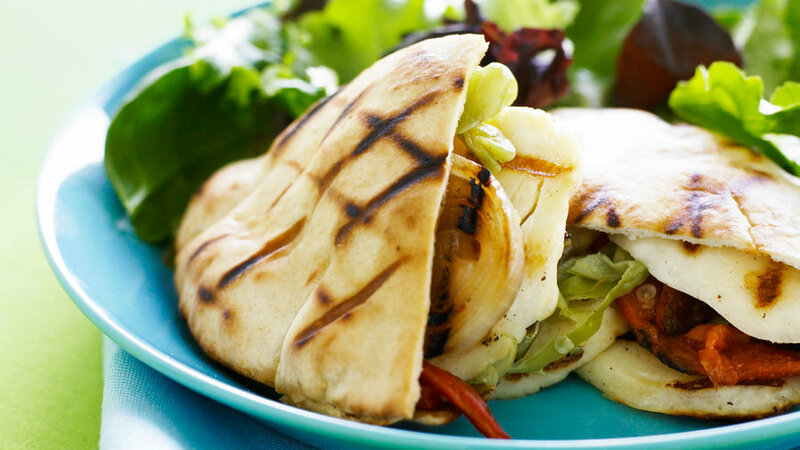 Guests can then fill the pitas with ingredients of their choice. 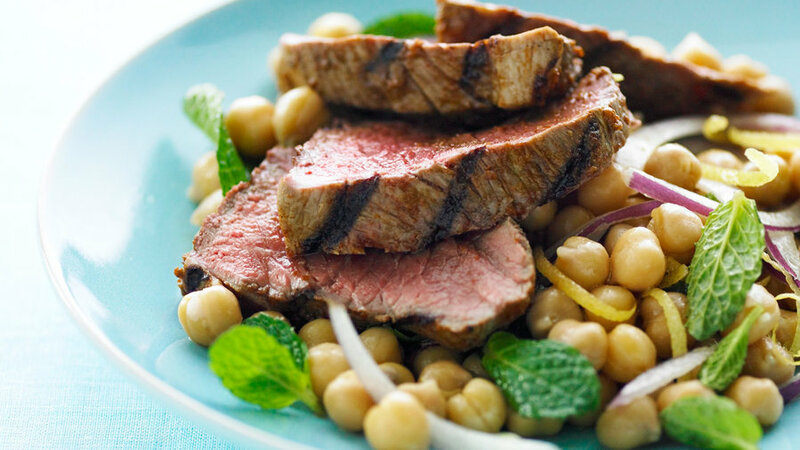 The spicy marinade of the grilled lamb lends lots of kick to this quick dinner. But it's the zing of the easy-to-toss-together salad that won us over. 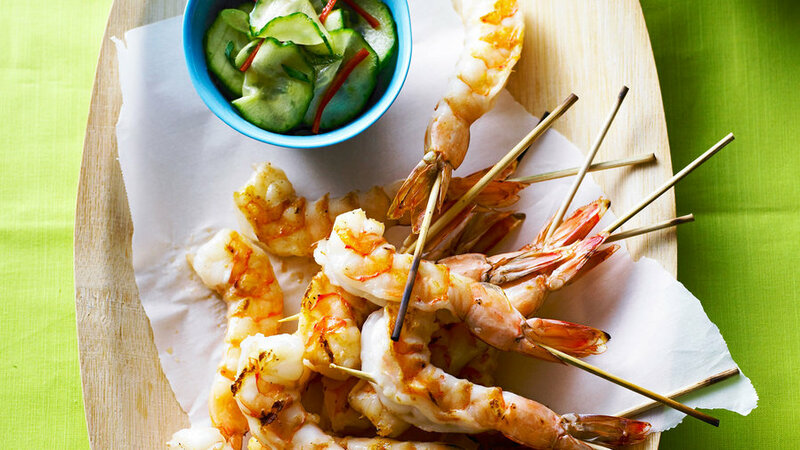 We put the shrimp on the skewer tail first so that you can cook them on the grill, then easily remove and eat the shrimp. The cucumber salad is cool and refreshing. Some people like to serve these on grilled buns for a whopper of a chicken sandwich. 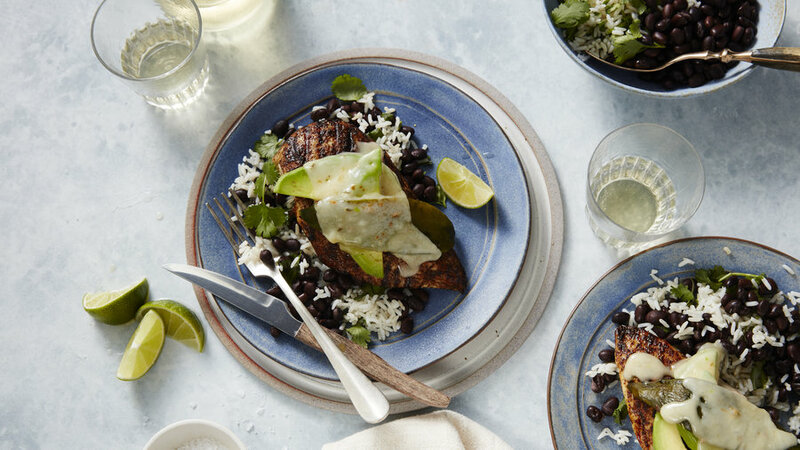 We prefer to serve the chicken in its natural, top-heavy state with a simple side of black beans. You be the judge. 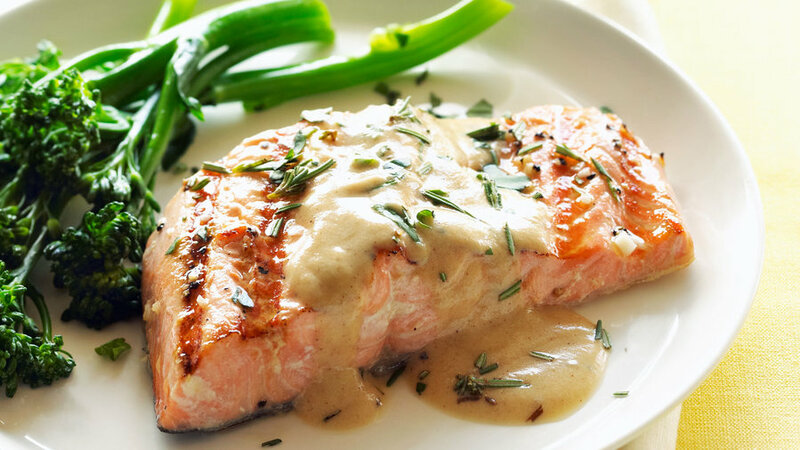 A bit on the elegant side, this grilled salmon dinner is a nice thing to make if you want to impress guests. The sauce is very flavorful and pairs wonderfully with a dry white wine. 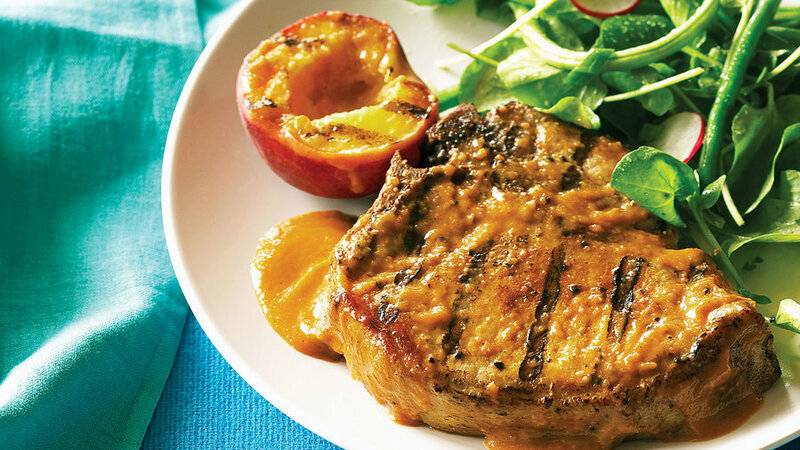 Using in-season fruit, such as peaches, as a base to a simple homemade barbecue sauce is a great way to add a bit of surprise to standard grilled fare. 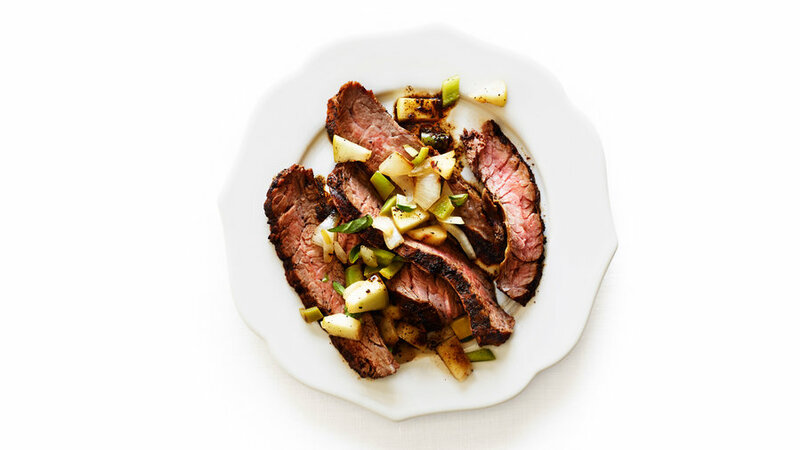 It’s an unusual combination, but when coffee and chile mingle with meat, the flavor is extraordinary. The green chile–relish adds an exclamation point.